WHO (World Health Organization) chose this date, approximately 2 years after the last known case of naturally occurring smallpox, to announce that the disease has been completely eradicated from the world – a rare and stunning event. Smallpox is a special human disease in that it is one of the few that cannot migrate to other species. It can infect humans only, so the WHO set the goal of eliminating smallpox from human hosts because once there were no infected humans, the disease would be effectively extinct. There’s the extinction of one endangered species that no one laments. Smallpox exists now only in carefully guarded lab specimens (available for ongoing testing), which once in a while are mishandled and cause someone to be infected. But for all intents and purposes smallpox has been wiped out. Not so very long ago, smallpox was a worldwide scourge with infants (and adults) dying regularly on all continents. 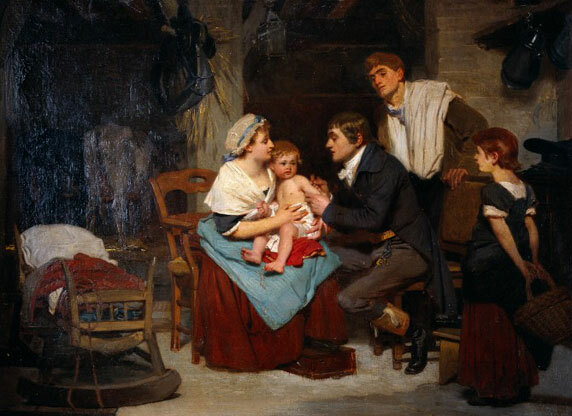 Then Edward Jenner came along and vaccination was born. 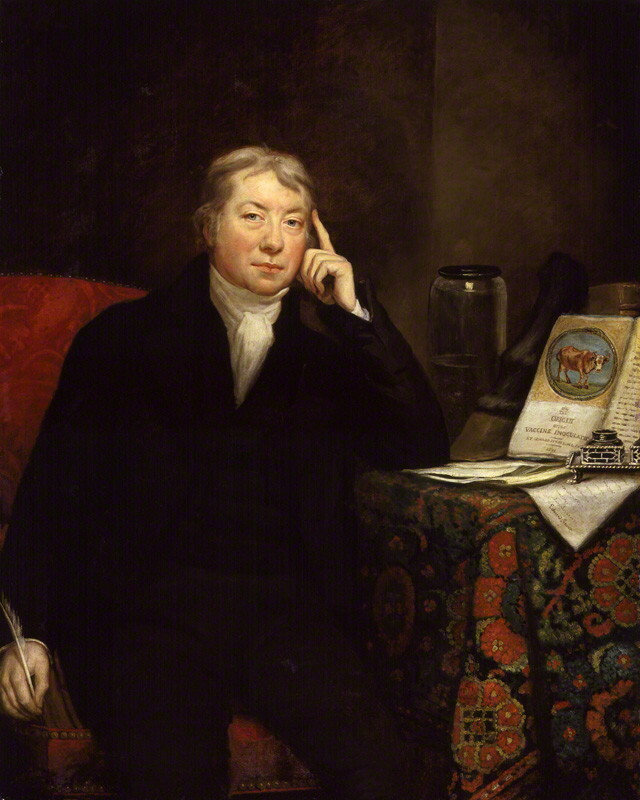 http://www.bookofdaystales.com/edward-jenner-and-smallpox/ Vaccination was very effective in Europe, but the rest of the world lagged behind – especially Africa. A concerted effort by the WHO got the job done, though, in the end. Into my teens (1960s) I was required to prove I was vaccinated against smallpox when traveling abroad, but by my twenties it all came to an end. Hooray. 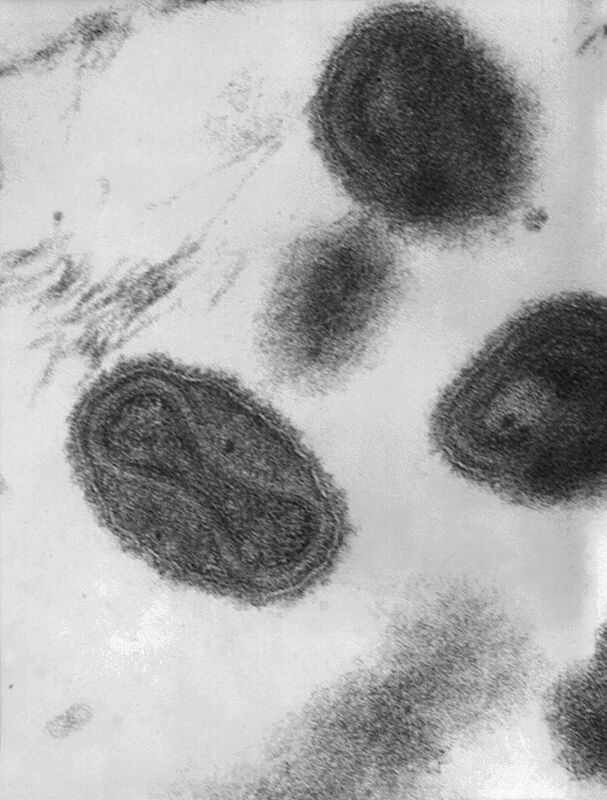 Smallpox is caused by two strains of virus, Variola major and V. minor. V. minor is the rarer of the two strains, and causes a much less severe disease (sometimes called alastrim), with a fatality rate of around 1%. No treatment is available, and the only protection is vaccination. The virus is usually transmitted by prolonged face-to-face contact with a person showing symptoms. The incubation period averages 12–14 days. 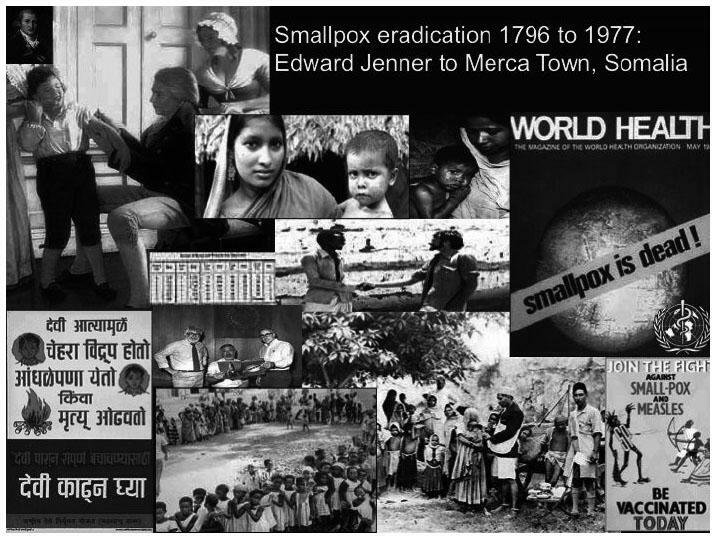 Smallpox was still causing an estimated 2 million deaths every year as late as 1967. The global effort to eradicate smallpox from endemic areas, particularly in Africa, began in 1959 with a mass vaccination campaign. This approach met with little success, and a more-effective targeted approach was developed in the late 1960s. This involved active surveillance by case hunting, combined with rapid containment, by intensive vaccination, of infection in areas reporting outbreaks. The majority of African countries were free from smallpox by 1972. By the end of 1975, the virus had been eradicated worldwide except in Ethiopia, Somalia, and Kenya. 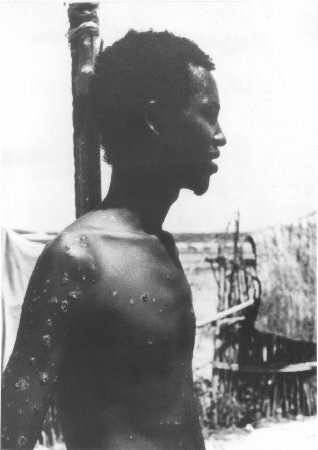 The nomadic people of the Ogaden Desert retained endemic smallpox with an unusually mild form of the disease, which facilitated persistence in the population. From 1975, WHO efforts were concentrated on this region. Ethiopia saw its last case in August 1976 and Kenya in February 1977. Somalia proved particularly challenging because much of its population of 3.5 million was nomadic. A mass vaccination campaign in the country in 1969 had failed because many nomadic people in the region had cultural objections to vaccination, and either refused or avoided it. Elimination efforts relied on an intensive reporting system. A severe drought in 1975 exacerbated the difficulties by increasing movement across the border with Ethiopia, and frequent outbreaks continued. In March 1977, surveillance efforts found over 3000 cases in the south of the country.The Somali government declared a state of emergency and successfully appealed to the United Nations for assistance. By June of that year, when the outbreak peaked, 3000 Somali health workers supervised by 23 international advisers were involved in the eradication efforts. Eradication work was hampered in July when the Ogaden War broke out, limiting access to the desert. The last known natural occurring case of smallpox (V. minor) was contracted by Ali Maow Maalin around this date in 1977. 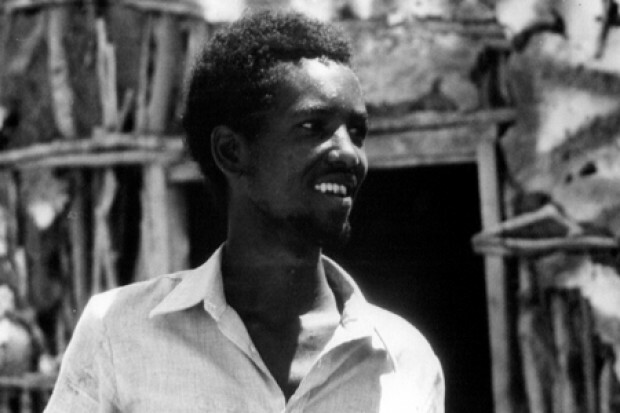 Maalin worked as a cook at the hospital in the port-town of Merca in southern Somalia, as well as an occasional vaccinator for a WHO smallpox eradication team. 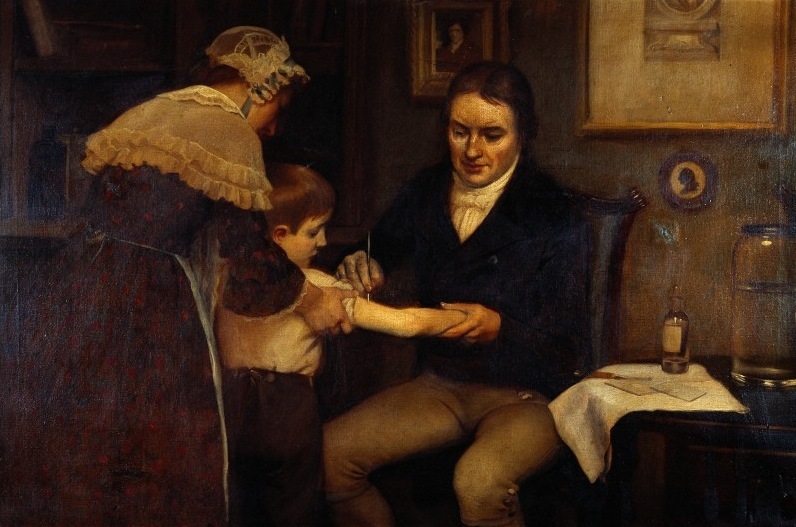 He had not been successfully vaccinated, even though smallpox vaccination was obligatory for hospital employees. According to CDC epidemiologist Jason Weisfeld, one of the people who led the later containment effort in Merca, Maalin had received the smallpox vaccine but it had failed to take, and he had not been protected. Other sources, however, state that he had not been vaccinated. In an interview in 2007, Maalin said that he had not been vaccinated, explaining: “I was scared of being vaccinated then. It looked like the shot hurt.” Some ironies are staggering. The guy was helping eradicate the disease by encouraging vaccination, but didn’t get vaccinated himself and caught smallpox. In August 1977, an outbreak developed in a Somalian nomadic group of twenty families; eight children developed symptoms in August to October. On 12 October 1977, two children with smallpox symptoms were discovered at an encampment near the small inland settlement of Kurtunawarey, around 90 km from Merca. Local officials drove the children to Merca, where there was a nearby isolation camp. Maalin, then aged 23, served as a guide to the party taking them in a closed Land Cruiser from the hospital where he worked either in the home of a surveillance supervisor or directly at the isolation camp. He is believed to have been infected during the journey, which lasted no more than 5–15 minutes. One of the children, a six-year-old girl named Habiba Nur Ali, died two days later. She was the last person to die from naturally acquired smallpox. The outbreak among the nomadic group was successfully contained by WHO workers by 18 October, but – critically – investigators failed to identify Maalin as a contact. Donald Henderson, who directed the WHO eradication program from 1967 until 1976, describes Maalin’s case as “a classic one in depicting omissions and mistakes in program operations.” Maalin, described by Henderson as “a popular man,” had been visited by many relations and friends during his illness before he entered isolation. While hospitalized with fever, he had walked freely around the hospital, interacting with multiple patients. Multiple measures were used to contain the potential outbreak in the town of Merca. The response was coordinated by Weisfeld and Karl Markvart. Maalin’s contacts were all traced by the WHO eradication team. A total of 161 contacts were identified, 41 of whom had not been vaccinated. There were 91 people who had been in face-to-face contact with Maalin, 12 of whom were unvaccinated. Some of his contacts lived up to 120 km outside the town. All contacts were kept under surveillance for six weeks. His face-to-face contacts and their families were vaccinated, but none showed any sign of having been infected. Merca Hospital was closed to new patients, all its medical staff were vaccinated and existing patients were quarantined in situ. The residents of the fifty houses neighboring Maalin’s lodgings were vaccinated, and vaccinations were later extended to the ward of the town in which Maalin lived. House-to-house searches throughout the entire town looked for cases. Police checkpoints on all exits to the town, including footpaths, were established to vaccinate anyone passing who had not been recently immunized. A total of 54,777 people were vaccinated in the two weeks following Maalin’s isolation. The response later broadened, with monthly house-to-house searches across the region widening to a search throughout Somalia, completed in December 1977. The containment efforts proved effective and, on 17 April 1978, WHO’s Nairobi office sent a telegram stating: “Search complete. No cases discovered. Ali Maow Maalin is the world’s last known smallpox case.” Although there have been subsequent cases of smallpox from laboratory contamination, Maalin remains the last case of naturally acquired smallpox in the world. 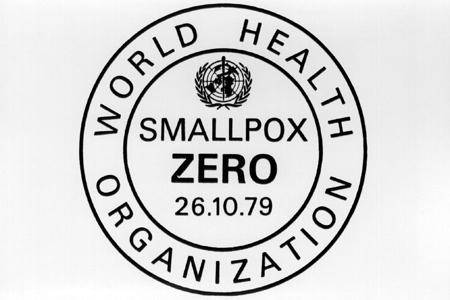 On 26 October 1979, two years after the day when Maalin’s rash appeared, WHO declared that smallpox had been eradicated globally. Unfortunately the story does not end so well for Maalin. Maalin remained in the Merca area, where he was employed in a range of roles. In the mid-1990s, he was selling medicines in a nearby small town. Maalin was among the 10,000 volunteers who participated in the effort to eradicate poliomyelitis from Somalia, which succeeded in 2008. He explained his motivation for volunteering: “Somalia was the last country with smallpox. I wanted to help ensure that we would not be the last place with polio too.” Maalin worked for WHO as a local coordinator with responsibility for social mobilisation, and spent several years travelling across Somalia, vaccinating children and educating communities. The Boston Globe described him as one of the “most valuable” local coordinators for WHO. He encouraged people to be vaccinated by sharing his experiences with smallpox: “Now when I meet parents who refuse to give their children the polio vaccine, I tell them my story. I tell them how important these vaccines are. I tell them not to do something foolish like me.” He continued to work as a regional coordinator for the vaccination drive, and was hailed as one of the “true heroes” of the campaign. After the 2013 reintroduction of poliovirus into Somalia, Maalin was again carrying out vaccinations in the Merca district when he developed a fever, and died days later, on 22 July 2013, of malaria. He was survived by his wife and three children. Today is the birthday (854 CE) of Abū Bakr Muhammad ibn Zakariyyā al-Rāzī (ابوبكر محمّد زکرياى رازى) usually known in the West by his Latinized name Razi (also Rhazes or Rasis), a Persian polymath, physician, alchemist, and philosopher who was a key figure in the history of medicine – now mostly forgotten by the history books, as are scores of classical Muslim scholars. To acknowledge them too much would be to dent the fable of the West climbing to dominance all by itself (and with almost no recognition that Muslim scholars preserved the writings of the likes of Plato and Aristotle when the West had no use for them). 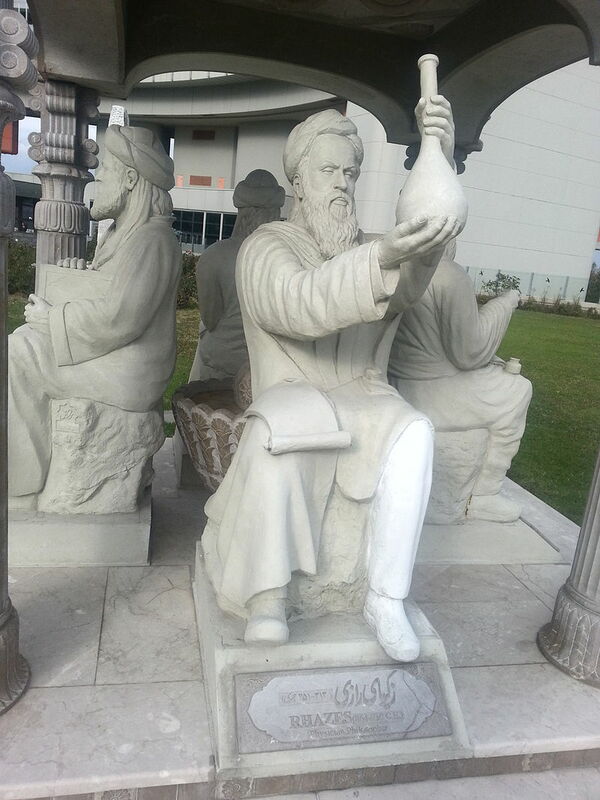 Razi made fundamental and enduring contributions to various fields, which he recorded in over 200 manuscripts, and is particularly remembered for numerous advances in medicine through his observations and discoveries. He was an early proponent of experimental medicine, became a successful doctor, and served as chief physician of Baghdad and Ray hospitals. As a teacher of medicine, he attracted students of all backgrounds and interests and was said to be compassionate and devoted to the service of his patients, whether rich or poor. 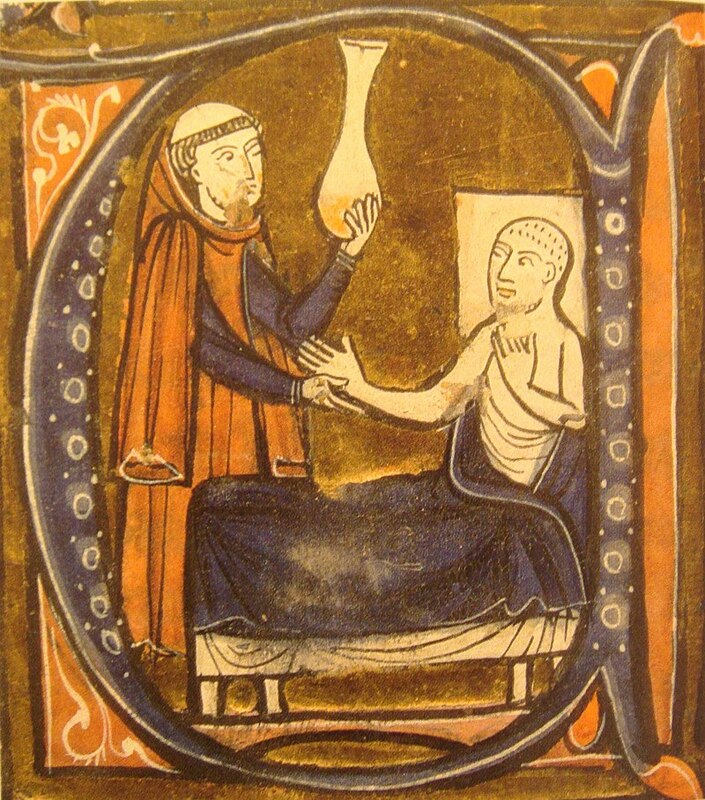 Through translation, his medical works and ideas became known among medieval European practitioners and profoundly influenced medical education in the Latin West. Razi was born in the city of Ray (modern Rey) situated on the Great Silk Road that for centuries facilitated trade and cultural exchanges between East and West. His nisba (locational surname, like “da Vinci”), Râzī (رازی), means “from the city of Ray” in Persian. It is located on the southern slopes of the Alborz mountain range near Tehran. In his youth, Razi moved to Baghdad where he studied and practiced at the local bimaristan (hospital). 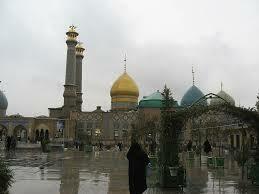 Later, he was invited back to Rey by Mansur ibn Ishaq, then the governor of Rey, and became a bimaristan’s head. He dedicated two books on medicine to Mansur ibn Ishaq, The Spiritual Physic and Al-Mansūrī on Medicine. Because of his newly acquired popularity as physician, Razi was invited to Baghdad where he assumed the responsibilities of a director in a new hospital named after its founder al-Muʿtaḍid (d. 902 CE). Under the reign of Al-Mutadid’s son, Al-Muktafi (r. 902-908) Razi was commissioned to build a new hospital, which would be the largest of the Abbasid Caliphate. To pick the future hospital’s location, Razi adopted what is nowadays known as an evidence-based approach — having fresh meat hung in various places throughout the city and to build the hospital where meat took longest to rot. He spent the last years of his life in his native Rey suffering from glaucoma. His eye affliction started with cataracts and ended in total blindness. The cause of his blindness is uncertain. One account mentioned by Ibn Juljul attributed the cause to a blow to his head by his patron, Mansur ibn Ishaq, for failing to provide proof for his alchemical theories; while Abulfaraj and Casiri claimed that the cause was a diet of beans only. Allegedly, he was approached by a physician offering an ointment to cure his blindness. Razi then asked him how many layers the eye contained and when he was unable to receive an answer, he declined the treatment saying “my eyes will not be treated by one who does not know the basics of its anatomy”. If you are interested in Razi you’ll have to look up his works. There are plenty of resources online. This would be a good place to start: http://www.thelivingmoon.com/44cosmic_wisdom/02files/Muhammad_ibn_Zakariya_al-Razi.html Razi wrote way too much for me to summarize even in the most superficial way. It would take pages for me simply to list his major writings. All I can do is point you in the right direction. 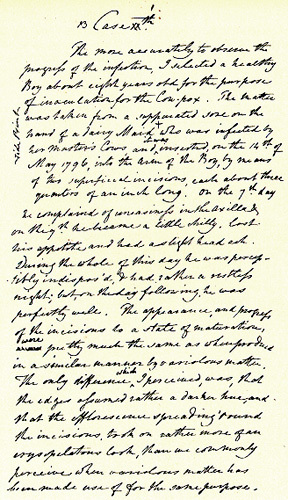 The two most obvious qualities about Razi that are admirable are, first, that he did not rely slavishly on ancient authorities, such as Hippocrates, Galen or Aristotle, but read them critically and wrote about their errors as well as their good qualities; and, second, that he was a very keen observer, making extensive and detailed notes on diseases, chemicals, and the like. These qualities made him a first-rate experimental scientist in many spheres. The eruption of smallpox is preceded by a continued fever, pain in the back, itching in the nose and nightmares during sleep. These are the more acute symptoms of its approach together with a noticeable pain in the back accompanied by fever and an itching felt by the patient all over his body. A swelling of the face appears, which comes and goes, and one notices an overall inflammatory color noticeable as a strong redness on both cheeks and around both eyes. One experiences a heaviness of the whole body and great restlessness, which expresses itself as a lot of stretching and yawning. There is a pain in the throat and chest and one finds it difficult to breathe and cough. Additional symptoms are: dryness of breath, thick spittle, hoarseness of the voice, pain and heaviness of the head, restlessness, nausea and anxiety. Note the difference: restlessness, nausea and anxiety occur more frequently with measles than with smallpox. On the other hand, pain in the back is more apparent with smallpox than with measles. Altogether one experiences heat over the whole body, one has an inflamed colon and one shows an overall shining redness, with a very pronounced redness of the gums. On a professional level, Razi introduced many practical, progressive, medical and psychological ideas. He attacked charlatans and fake doctors who roamed the cities and countryside selling their nostrums and “cures”. At the same time, he warned that even highly educated doctors did not have the answers to all medical problems and could not cure all sicknesses or heal every disease. To become more useful in their services and truer to their calling, Razi advised practitioners to keep up with advanced knowledge by continually studying medical books and constantly seeking new information. He made a distinction between curable and incurable diseases. Pertaining to the latter, he commented that in the case of advanced cases of cancer and leprosy the physician should not be blamed when he could not cure them. Razi also remarked that he felt great pity for physicians who took care of princes and nobles because they did not obey the doctor’s orders to restrict their diet or get medical treatment, thus making it difficult to be their physician. Razi also wrote a medical text for the general public: For One Who Has No Physician to Attend Him (Man la Yahduruhu Al-Tabib) (من لا يحضره الطبيب). 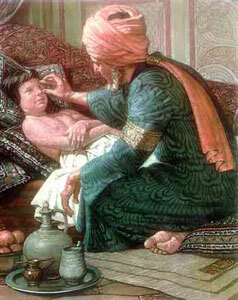 Razi was possibly the first Persian doctor to write a home medical manual. He dedicated it to the poor, the traveler, and the ordinary citizen who could consult it for treatment of common ailments when a doctor was not available. Some of the illnesses treated were headaches, colds, coughing, melancholy and diseases of the eye, ear, and stomach. 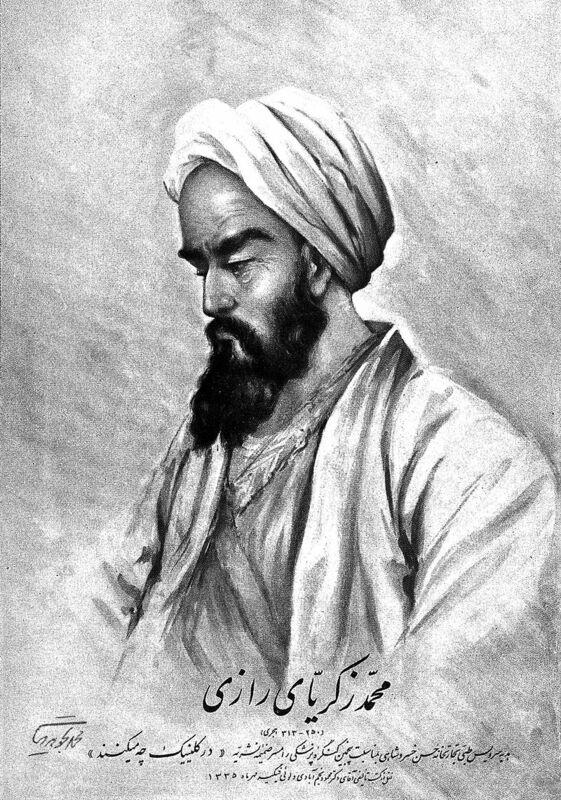 Razi’s interest in alchemy and his strong belief in the possibility of transmutation of lesser metals to silver and gold was attested half a century after his death by Ibn an-Nadim’s The Philosopher’s Stone. Nadim attributed a series of 12 books to Razi, plus an additional 7, including his refutation of al-Kindi’s denial of the validity of alchemy. Al-Kindi (801–873 CE) had been appointed by the Abbasid Caliph Ma’mum founder of Baghdad, to ‘the House of Wisdom’ in that city. He was a philosopher and an opponent of alchemy. Razi’s two best-known alchemical texts, al-Asrar (الاسرار “The Secrets”), and Sirr al-Asrar (سر الاسرار “The Secret of Secrets”), incorporate his major work in the field. I understand alchemy and I have been working on the characteristic properties of metals for an extended time. However, it still has not turned out to be evident to me how one can transmute gold from copper. Despite the research from the ancient scientists done over the past centuries, there has been no answer. I very much doubt if it is possible. Razi developed several chemical instruments that remain in use to this day. He is known to have perfected methods of the distillation of alcohol (which the Arabs used for perfume making, not for drinking). Razi dismissed magic as useless, but he did not reject the idea that miracles were possible (in the sense that some phenomena could not be explained by natural science). He also rejected the idea of four elements – earth, water, fire, and air – as explanations for the physical properties of materials. Razi’s works present the first systematic classification of carefully observed and verified facts regarding chemical substances, reactions and apparatus, described in a language almost entirely free from mysticism and ambiguity. By modern standards Razi’s taxonomy of matter is a bit strange, but he was attempting to develop a rational, rather than mystical, natural science. Whether or not we should thank him for this is another matter entirely. He did have a metaphysical doctrine, however. Razi’s theory of the “five eternals” suggests that the world is produced out of an interaction between God and four other eternal principles (soul, matter, time, and place). In short, while I am writing the present book, I have written so far around 200 books and articles on different aspects of science, philosophy, theology, and hekmat (wisdom). I never entered the service of any king as a military man or a man of office, and if I ever did have a conversation with a king, it never went beyond my medical responsibility and advice. Those who have seen me know, that I did not into excess with eating, drinking or acting the wrong way. As to my interest in science, people know perfectly well and must have witnessed how I have devoted all my life to science since my youth. My patience and diligence in the pursuit of science has been such that on one special issue specifically I have written 20,000 pages (in small print), moreover I spent fifteen years of my life -night and day- writing the big collection entitled Al Hawi. It was during this time that I lost my eyesight, my hand became paralyzed, with the result that I am now deprived of reading and writing. Nonetheless, I’ve never given up, but kept on reading and writing with the help of others. I could make concessions with my opponents and admit some shortcomings, but I am most curious what they have to say about my scientific achievement. If they consider my approach incorrect, they could present their views and state their points clearly, so that I may study them, and if I determined their views to be right, I would admit it. However, if I disagreed, I would discuss the matter to prove my standpoint. If this is not the case, and they merely disagree with my approach and way of life, I would appreciate they only use my written knowledge and stop interfering with my behavior. A little over a thousand years ago, an Arab scribe, Abu Muhammad al-Muzaffar ibn Sayyar, wrote Kitab al-Tabikh (The Book of Recipes). 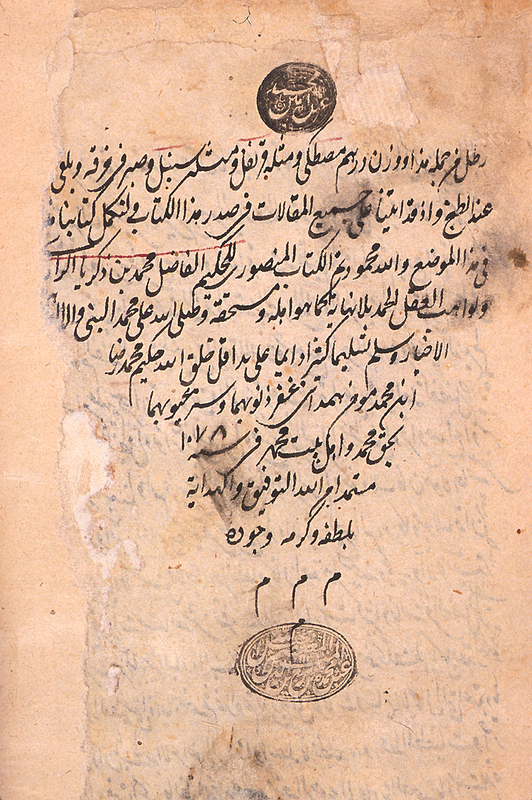 It was a collection of recipes from the court of 9th-century Baghdad, produced for the scribe’s unnamed patron—probably Saif al-Dawlah Al-Hamdani, prince of 10th-century Aleppo— who asked him for the recipes of “kings and caliphs and lords and leaders.” The book is extant in three manuscripts and fragments of a fourth. These are the dishes actually eaten by the elite of Baghdad when it was the richest city in the world. There are recipes from the personal collections of every caliph from al-Mahdi (d.785) to al-Mutawakkil (d.861), including 20 from Harun al-Rashid’s son al-Ma’mun. 35 of the recipes—nearly one-tenth of the non-medicinal dishes in the book—come from Harun’s brother, the famous poet and gourmet Ibrahim ibn al-Mahdi. 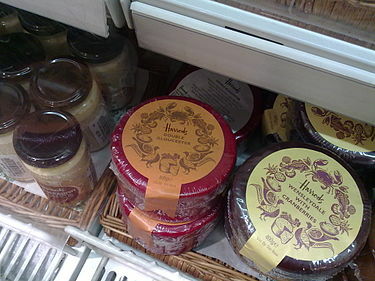 This was a golden age of medieval Persian cookery. The centerpiece of 9th-century Baghdadi cuisine was rich and complex stews, often cooked in the tandoor oven, which are prominent in the collection. But there are smaller dishes too. This is a modern interpretation of a recipe for an appetizer, bazmaawurd: chicken and flavorings rolled in flatbread and baked. Bazmaawurd a traditional first course at a banquet in Abbasid Baghdad. The name comes from the Persian bazm, “banquet,” and awurd, “bringing.” The recipe given here is from the collection of the Caliph al-Ma’mun. It calls for the flesh of citron, but fresh citrons are hard to come by in the West, and there is little flesh anyway. They are grown for their peels mostly. 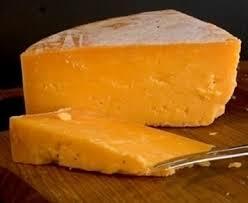 Lemon can substitute. 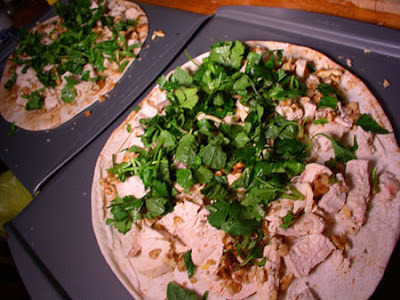 Place the flatbread on a lightly greased baking sheet. Spread the chicken evenly over the bread. Sprinkle with citron, walnuts, tarragon, mint and basil. Roll up the bread, and warm in the oven for about 15 minutes. Remove from the oven, cut into 4 pieces and serve immediately.